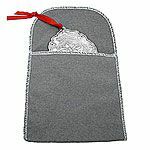 The Woodbury Pewter Stocking Christmas ornament is fun and festive. 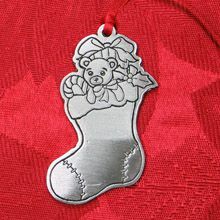 Crafted from tarnish-resistant pewter, this ornament features a classic stocking filled with toys and goodies from Santa Claus' visit. 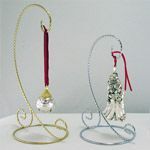 The Stocking ornament will look lovely hanging from your Christmas tree or other holiday display. Gift boxed with red ribbon included, and proudly made in the USA, this item is sure to become a treasured heirloom for anyone, young or old. 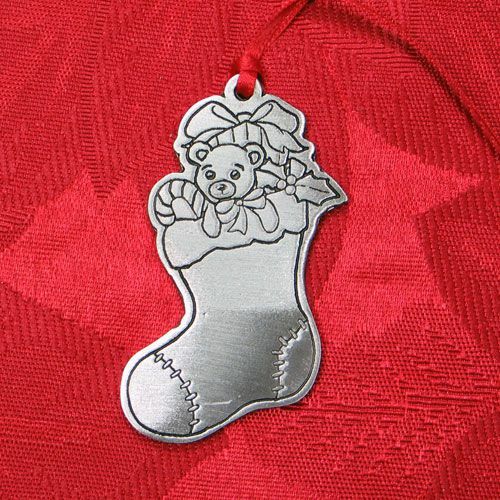 This ornament features a small space for engraving a short name, monogram or date. This ornament is not dated. 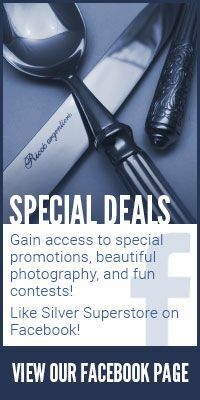 Add an ornament to your cart to view all engraving options. 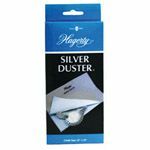 Space allows for engraving on either side for a small name, monogram or date.